QuickBooks for Beginners Class (Level 1) is customized, private introduction on how to use QuickBooks to best meet the needs of your business. The main objective is to introduce you to QuickBooks’ basic features and give you an opportunity for hands-on coursework, so that you can immediately apply at your office. In the QuickBooks for Beginners Class, you will learn about the types of information you need to track in your business, and how to enter that information and track it in QuickBooks. By the time you complete the course, you will have a good idea of how an accounting software package can save time and help organize business finances. QuickBooks for Beginners private is taught by a local expert in a small classroom environment. Each student will work on their own workstation in a sample company file to be able to learn how to build a QuickBooks file the right way from the ground up. This private class is available for class sizes from 1 to 16. 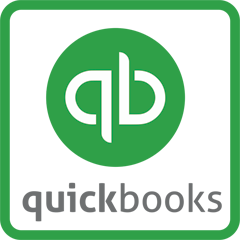 If you are new to QuickBooks Desktop Version and looking for hands-on training, this is the right class for you! Some experience with accounting vocabulary is helpful but not required. We also recommend that you have QuickBooks software installed on your home or work computer.